In classes taught by caring, passionate, and dedicated professors, you’ll open yourself to new ideas and engage in discussion with diverse groups. You’ll spend a lot of time reading, writing, and discussing. It won’t be easy, but ask any student, the effort is worth it. 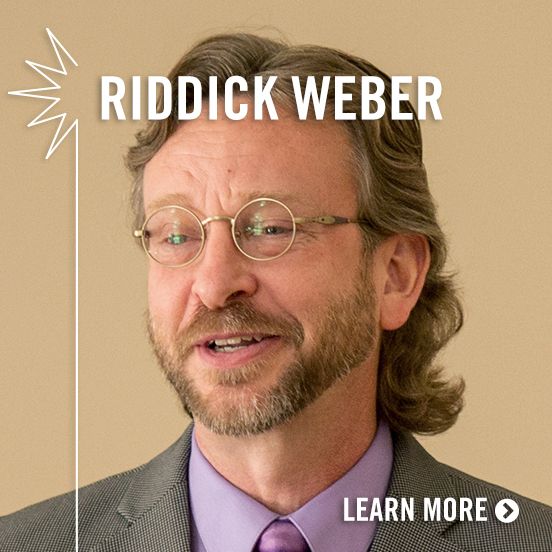 Professor Riddick Weber encourages students to explore how the creative use of religious traditions and social structures may empower the church to address the challenges it faces today.